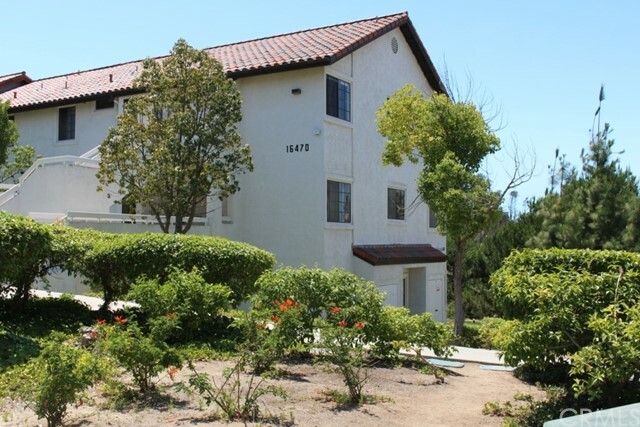 All Rancho Bernardo (San homes currently listed for sale in Rancho Bernardo (San as of 04/26/2019 are shown below. You can change the search criteria at any time by pressing the 'Change Search' button below. If you have any questions or you would like more information about any Rancho Bernardo (San homes for sale or other Rancho Bernardo (San real estate, please contact us and one of our knowledgeable Rancho Bernardo (San REALTORS® would be pleased to assist you. "*VIEWS* of mountains/City from this tastefully updated ranch-style home with hardwood flooring, crown molding, w/additional architectural details, and lots natural light. Master bedroom with en suite bath. Built-in cabinetry in dual use bedroom/office.The grounds are low-maintenance and beautifully landscaped. Pergola covers the patio & pathway to the jacuzzi. Easy walk to nearby RB Swim & Tennis Club, shops & restaurants. Excellent schools in the award winning PUSD. Low HOA, No Mello-Roos! **BEAUTIFUL** Neighborhoods: Bernardo Greens, Unit 13 Equipment: Garage Door Opener Other Fees: 0 Sewer: Sewer Connected Topography: LL,GSL"
"Home sweet home! Come see this gorgeous four bedroom with over 100k in upgrades. Located in the desirable Rancho Bernardo community within the amazing Poway Unified School District. Start off by walking into the spacious high ceiling living room which opens up to the dining room and updated grand kitchen with appliances, granite counter-top, and island. This home truly has a brilliant layout! Enjoy a touch of privacy in a separate family room with fireplace located across the kitchen and can easily access the backyard. The backyard is a great open space with Palm trees and a play area, which is also perfect for parties and family gatherings. All bathrooms recently remodeled, all windows replaced to dual pane, sliding doors were also replaced including interior and exterior doors. House also features Flow Technology water treatment system and Quiet Cool attic ventilation. The central AC and Heating system were replaced as well. This community offers great amenities with a swimming pool, tennis courts, indoor racket ball, basketball court, playground, volleyball, and party room. Low HOA dues and NO Mello-Roos. A place you can definitely call home." "Fit you to a Tee! Meticulously up dated inside & out, this 1,882 sq. ft. is perfect for active living. 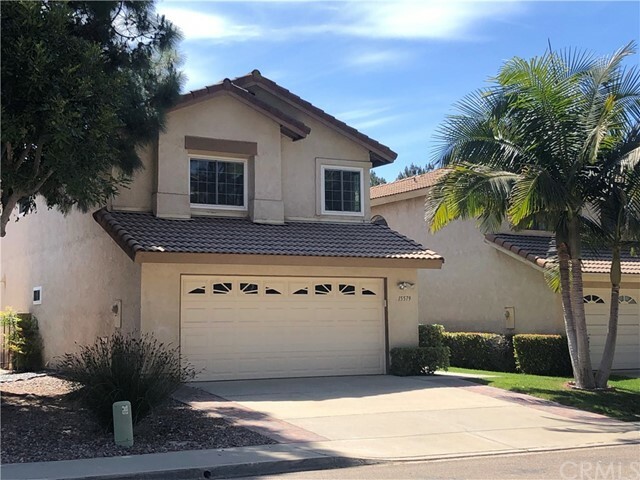 This RB Home, on the Greens has beautiful new hardwood floors, 3 fireplaces, mirror closet doors, new kitchen cabinets, granite counter tops, skylights, crown molding throughout, new bathroom cabinets with granite counter top & your own 4 hole putting green that opens up to the Rancho Bernardo Inn/Golf Course. In addition you have limited to full meship inmberto the Rancho Bernardo Swim & Tennis Club. Neighborhoods: Rancho Bernardo Equipment: Garage Door Opener Other Fees: 0 Sewer: Septic Installed Topography: LL"
"Hillside Views are to be enjoyed from this super single level home in the highly desired community of Oaks North! Move-in ready with newer appliances and cabinetry, skylights, solar power ( owned) and newer flooring! Wood framed fireplace is the centerpiece of a large and cozy living room. All new double pane windows throughout. Easy care yard with large newer portico. Enjoy the fruit trees and mature plants. Neighborhoods: Oaks North Equipment: Garage Door Opener, Range/Oven Other Fees: 0 Sewer: Sewer Connected Topography: LL"
"Fantastic opportunity to own a 2/2 condo located in the highly desirable Mira La Paz community of Rancho Bernardo. Boasting approx 1354sf of living space w/vaulted ceilings, LR features wood burning fireplace (w/gas starter). Balcony off the LR extends the living space to the outdoors w/panoramic views & amazing breezes. Kitchen overlooking the Living/Dining room is complete w/granite counters, maple style cabinetry, gas range, newer dishwasher & pendant lighting. Newer stackable washer/dryer in the unit, newer hot water heater, newer garage door opener, baseboards. Master suite boasts plenty of closet space & Master bath with generous counter space; separate toilet & shower/bath provides additional privacy. Detached 2 car garage is an end unit closer to the home. Private top floor location overlooks greenbelt, trees, hills & city lights. Complex has pool, spa & workout room. HOA includes access to Bernardo Heights Rec Center w/3 pools, spas, tennis, sport court, billiards room, BBQ pits, fantastic clubhouse w/rooms avail to host events & more. HOA dues also include water, sewer, trash & CABLE! Within the Award Winning Poway school district!, near to fantastic restaurants, preferred shopping/stores, a plethora of golf courses, hiking trails (the infamous Potato Chip, Poway Lake, easy highway access & only a slingshot to Downtown, Gaslamp, Balboa Park, Old Town, Seaport Village, Del Mar, La Jolla, etc! Must see! Won't Last!" "We proudly present this rare Carmel Trails Penthouse ideally located close to many award winning schools, shops and restaurants. This end unit flooded with natural light overlooks the pool and is just steps from the exercise and mail rooms. Special features include brand-new carpeting throughout, a custom fireplace in the living room, newly refurbished bathroom, recessed lighting, an exclusive-use deck off the living room and an abundance of storage. Carmel Trails is managed by... see supplement Neighborhoods: Carmel Mountain Ranch Other Fees: 0 Sewer: Sewer Connected Topography: LL"